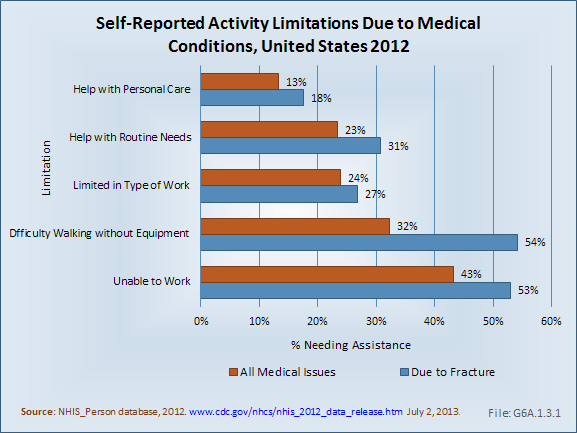 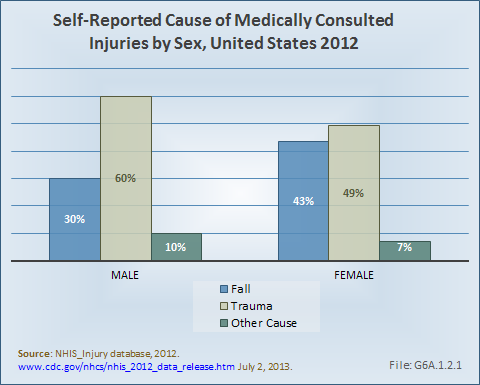 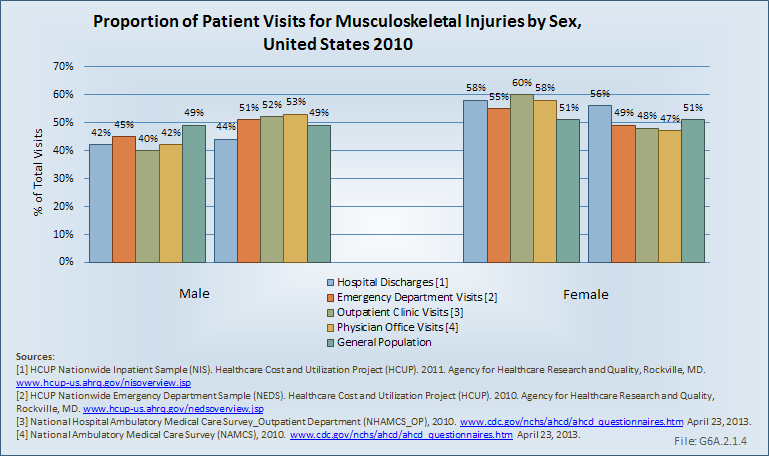 Females, in general, are more likely overall to have a health care visit than are males. 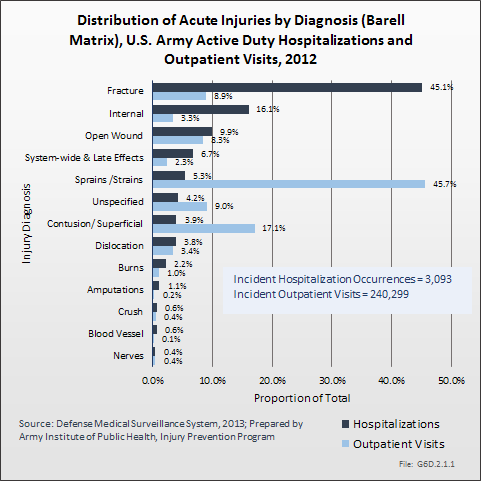 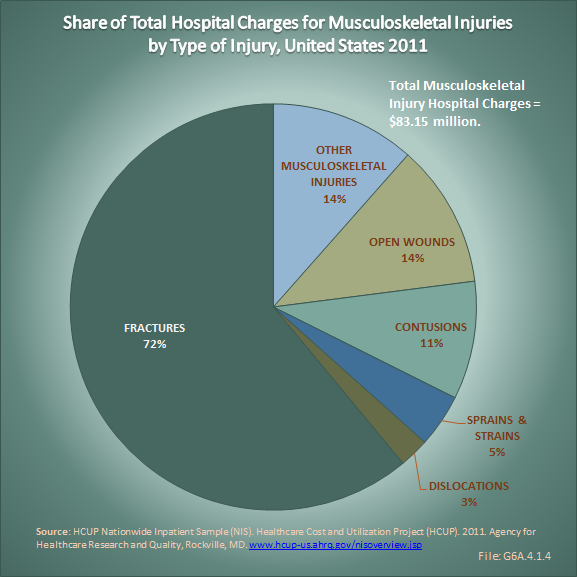 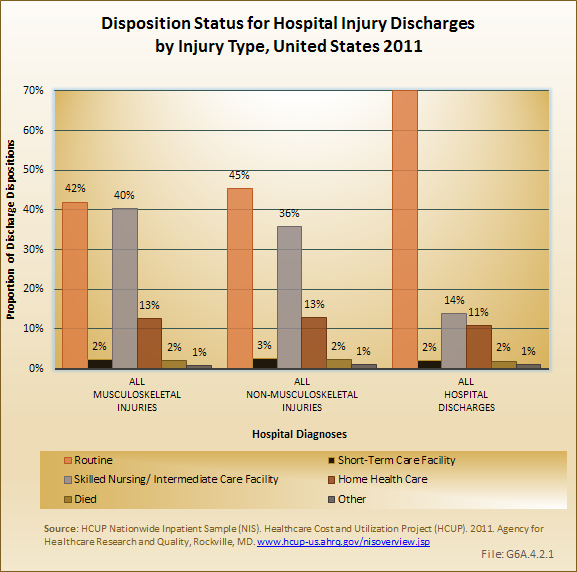 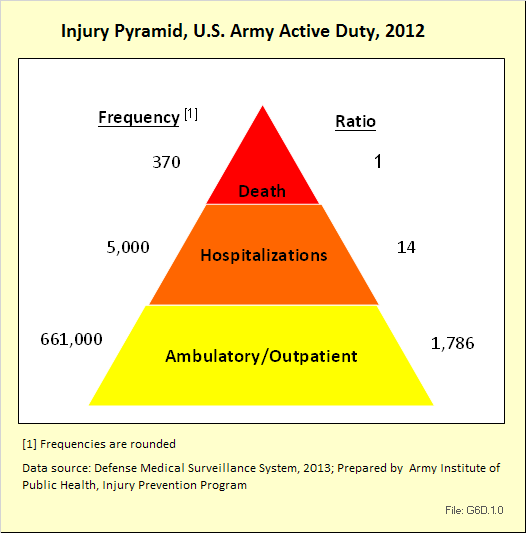 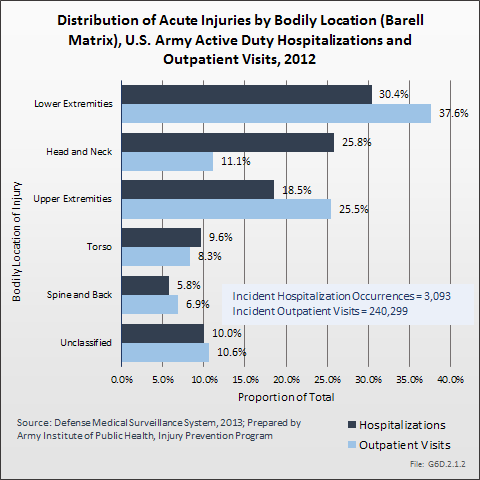 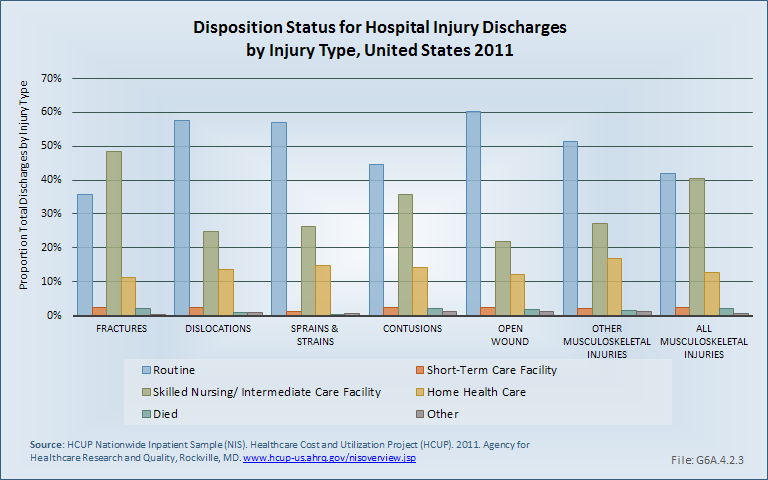 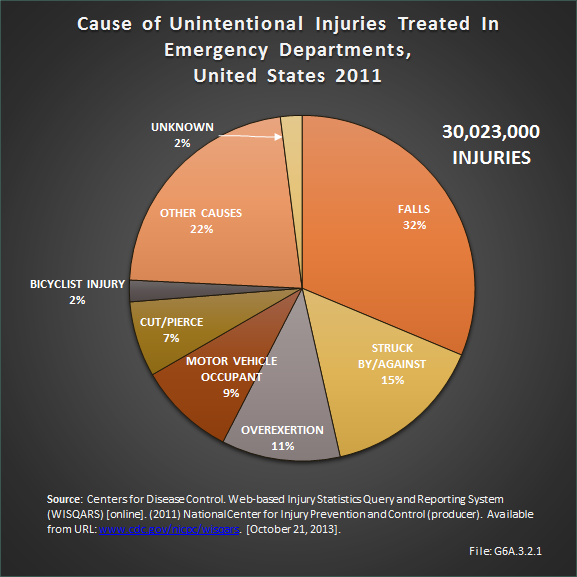 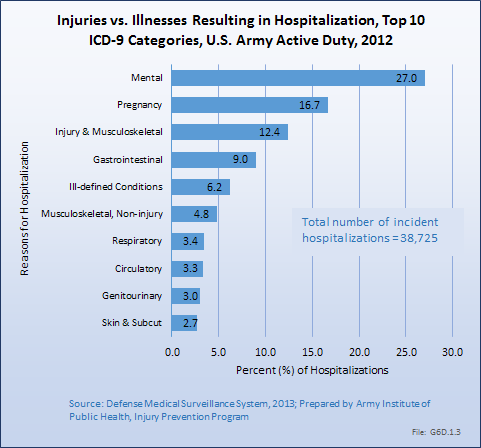 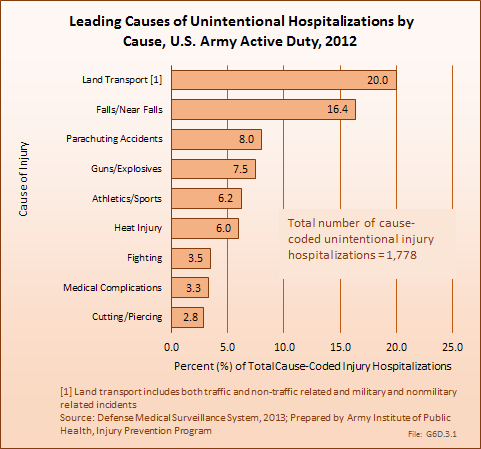 With regard to musculoskeletal injury, however, this is true only for the category of health care visits related to hospital discharges, where females represent slightly more than their proportion in the general population. 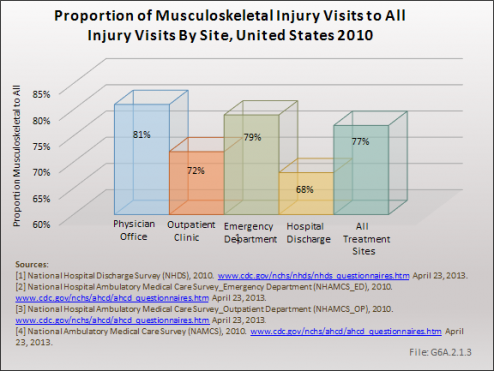 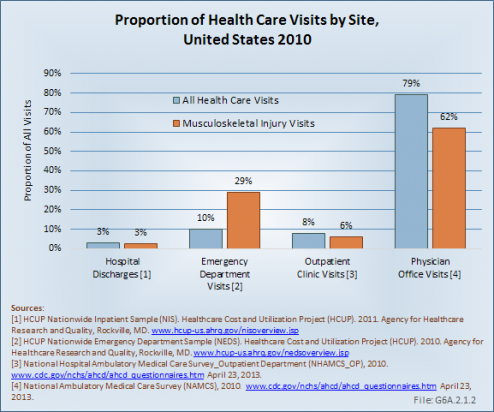 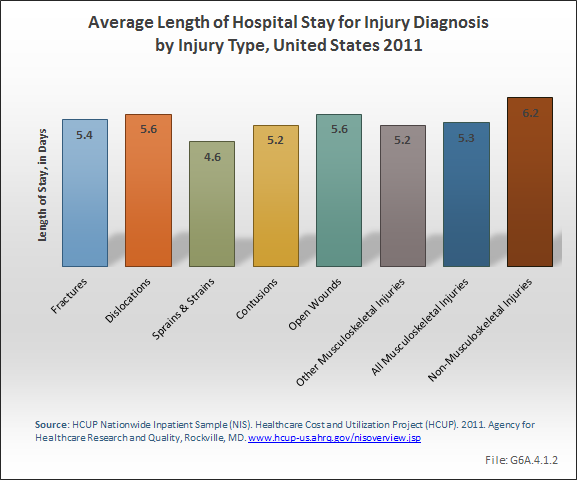 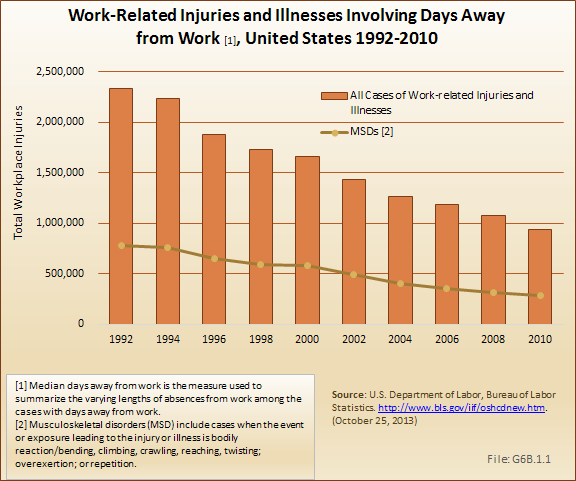 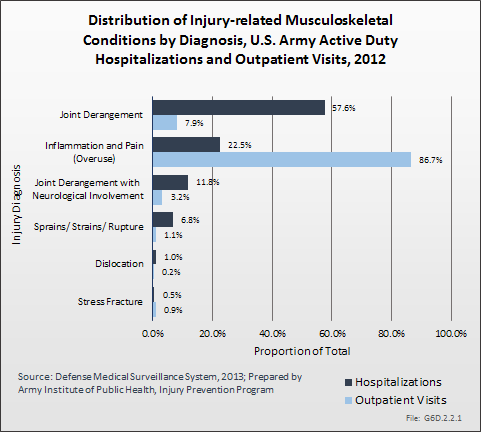 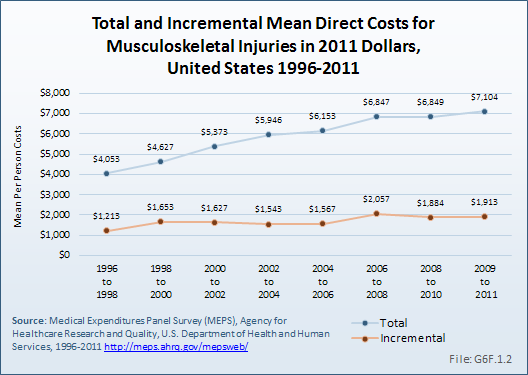 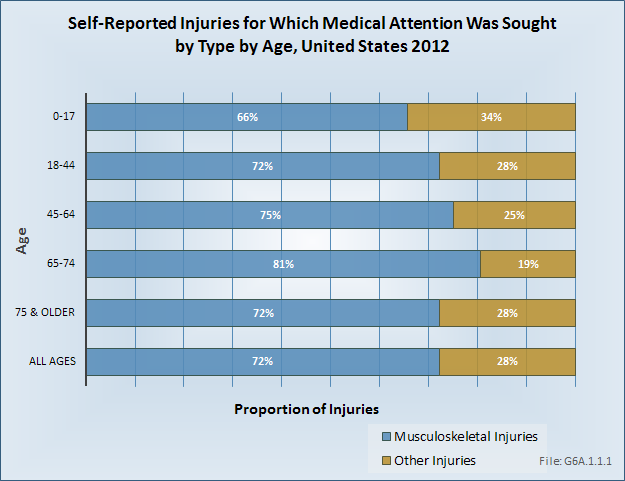 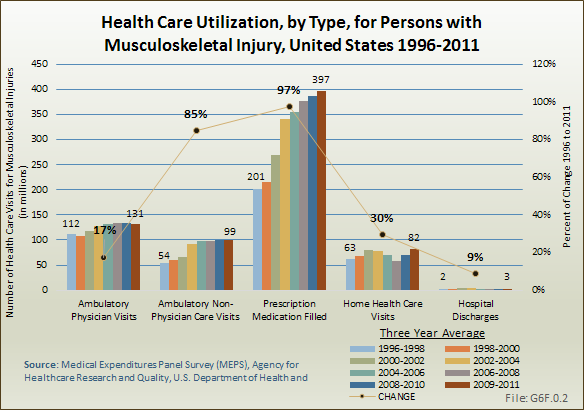 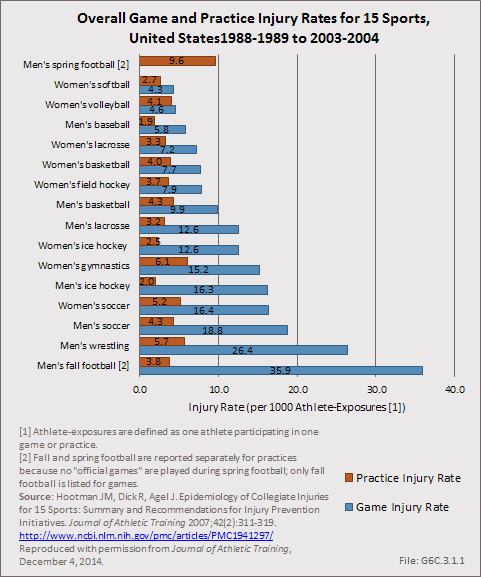 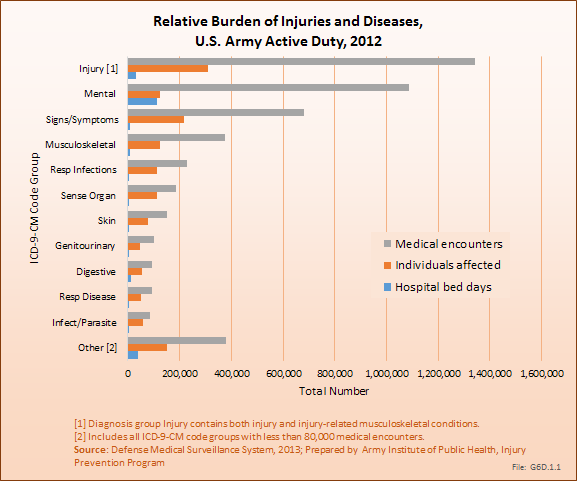 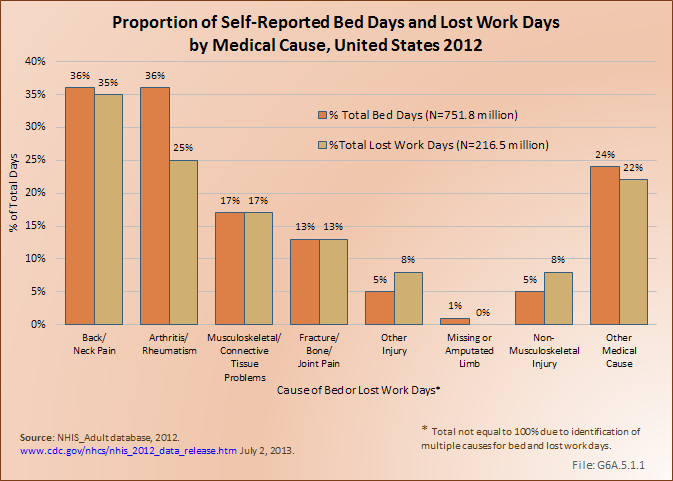 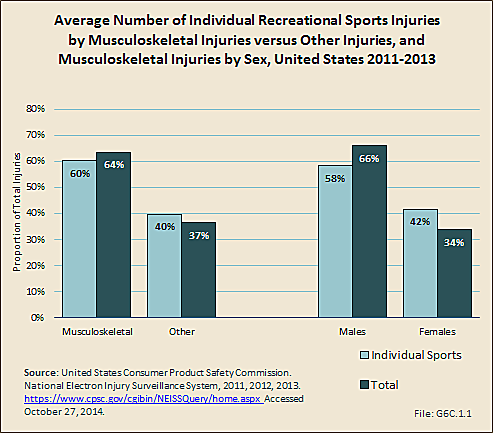 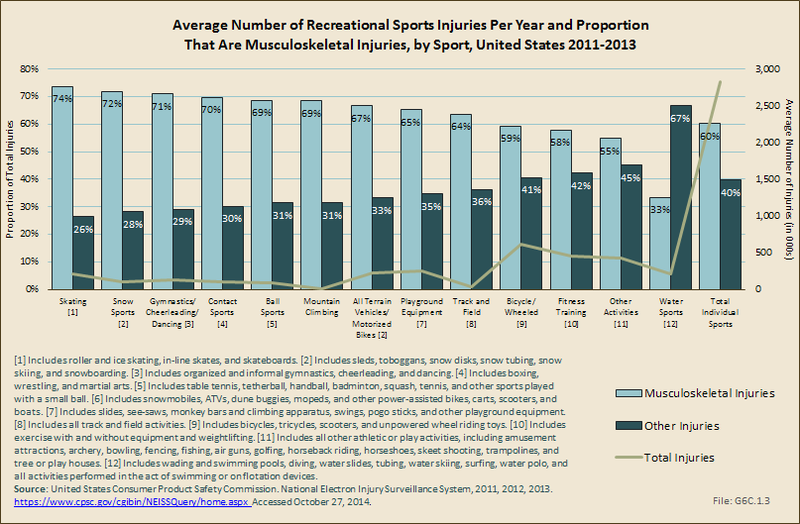 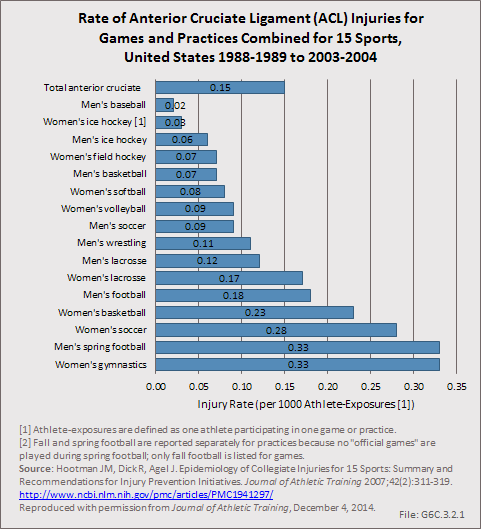 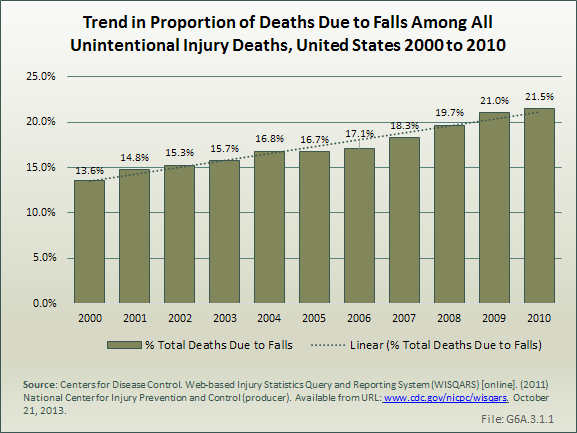 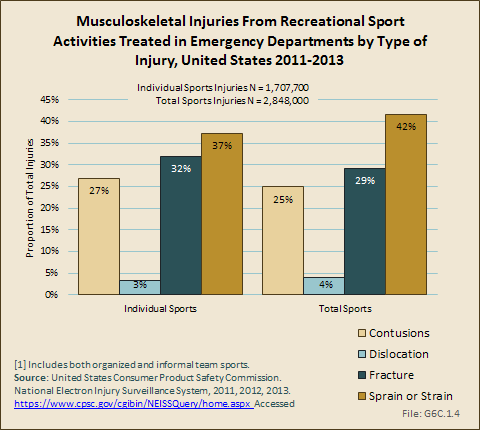 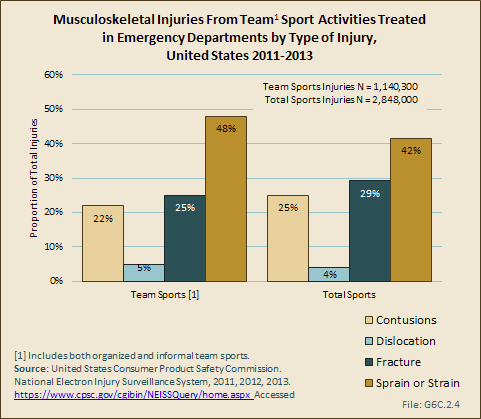 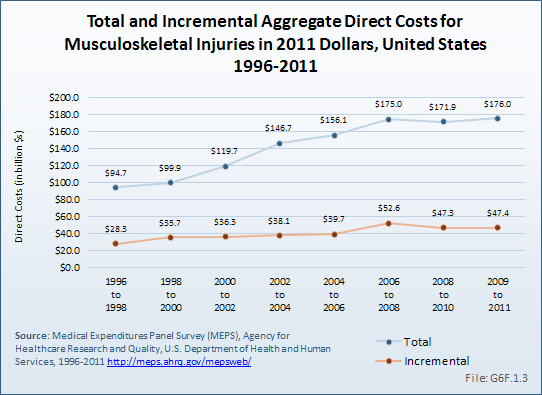 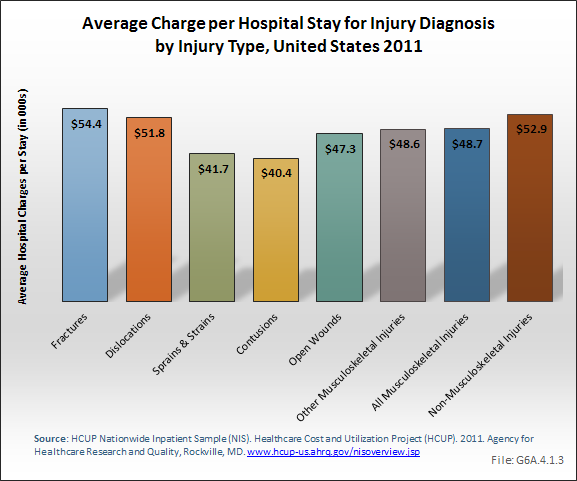 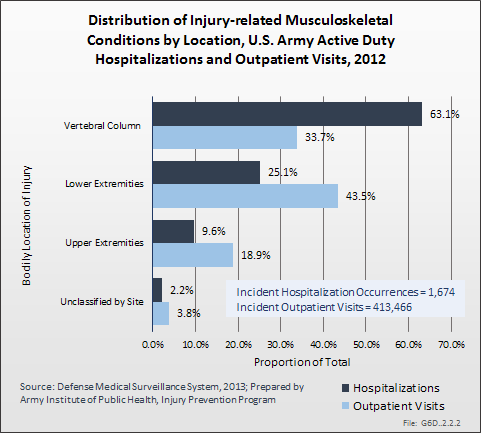 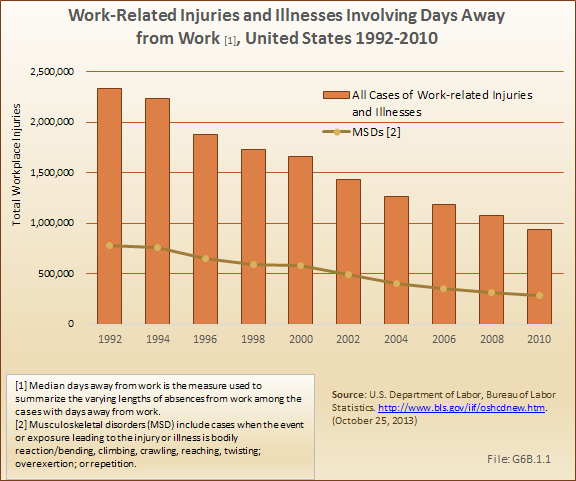 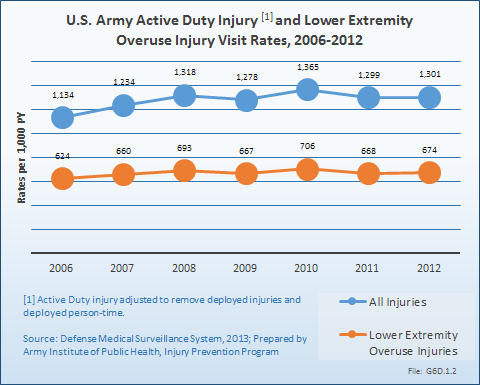 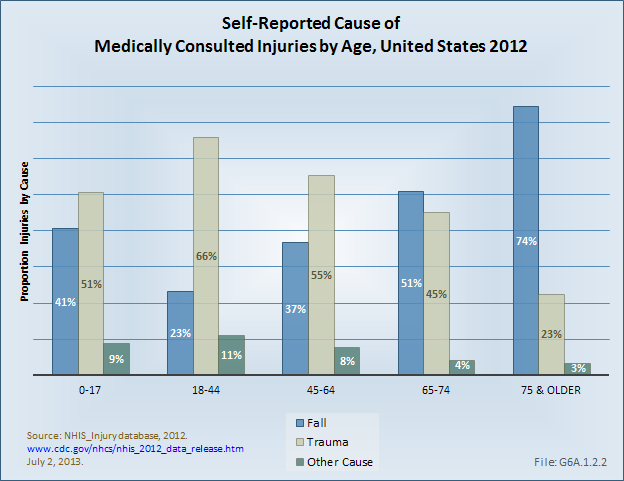 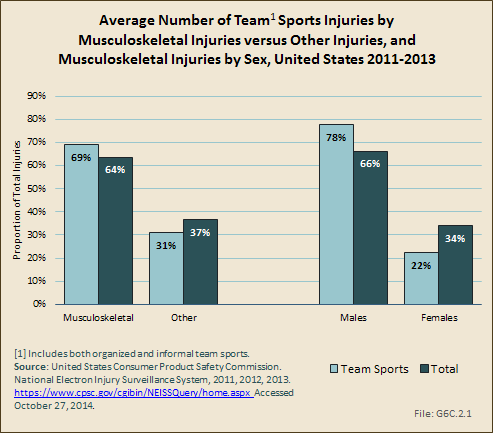 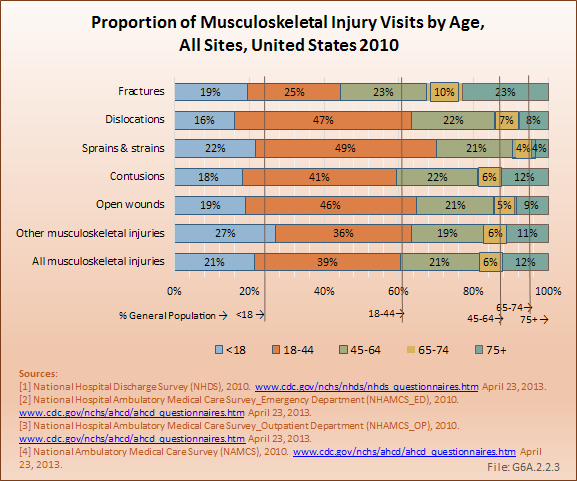 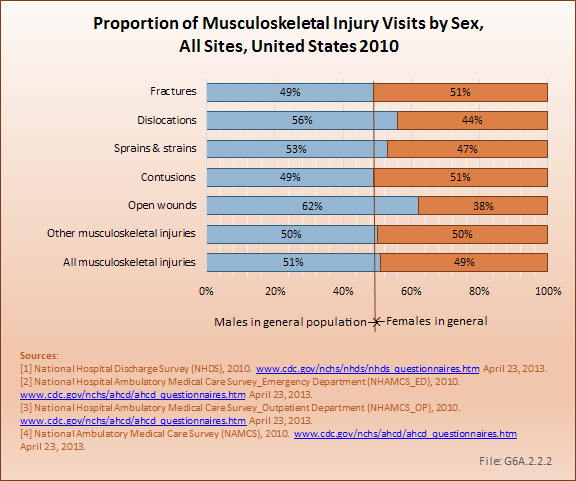 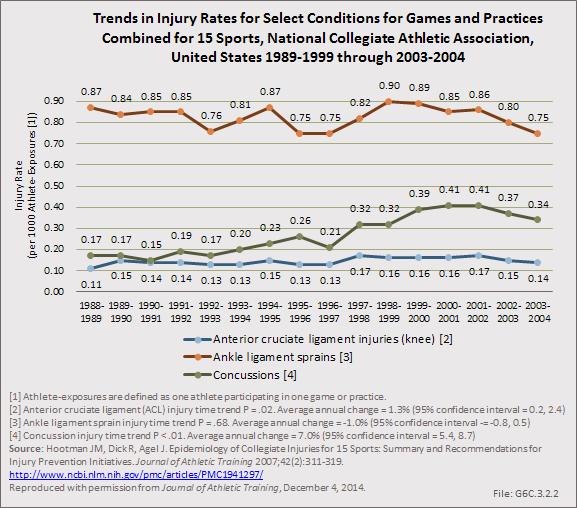 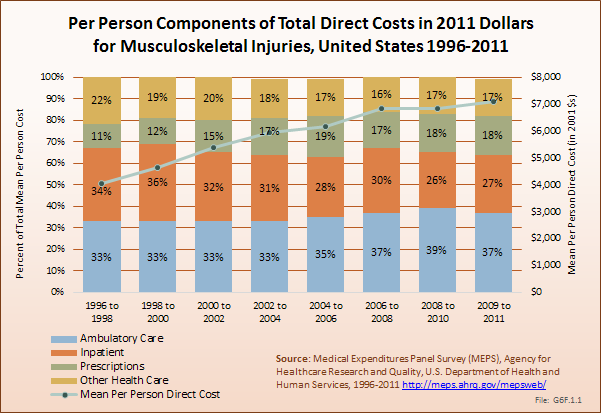 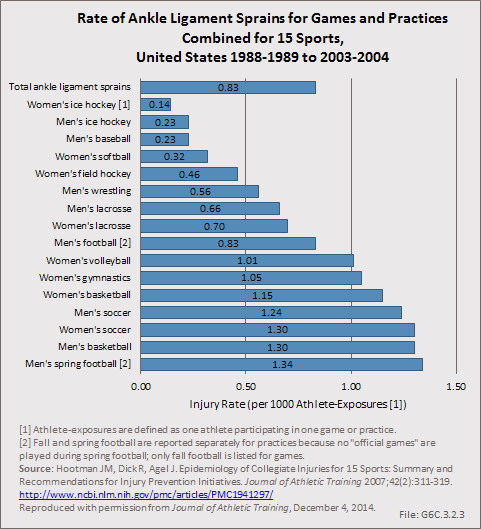 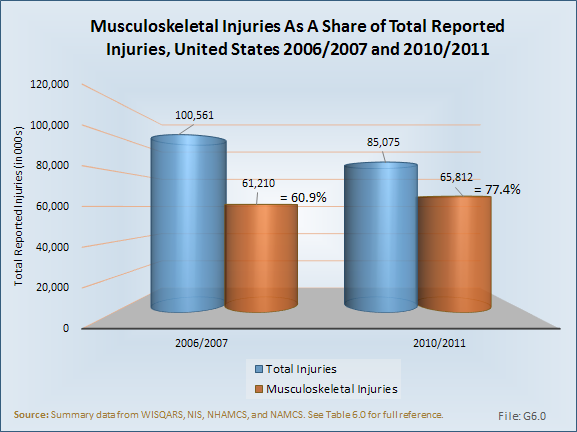 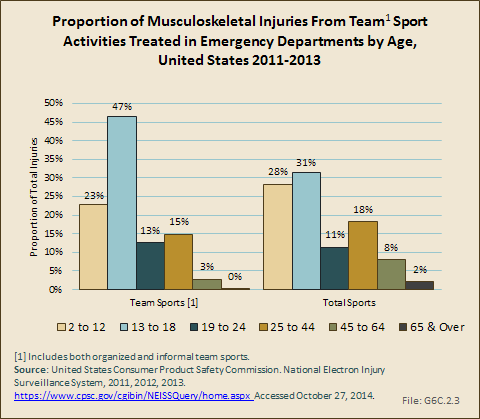 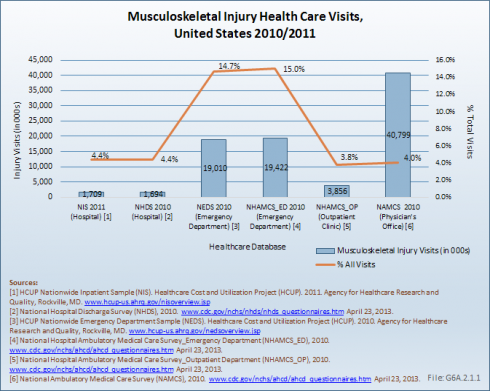 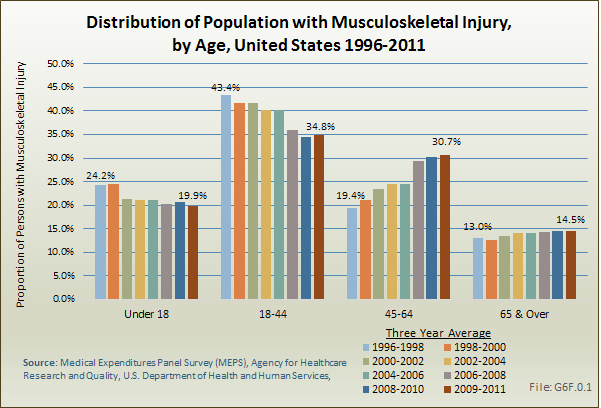 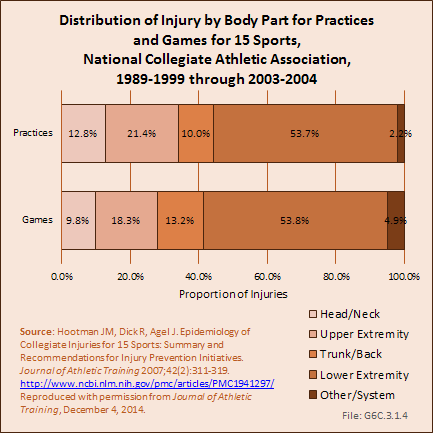 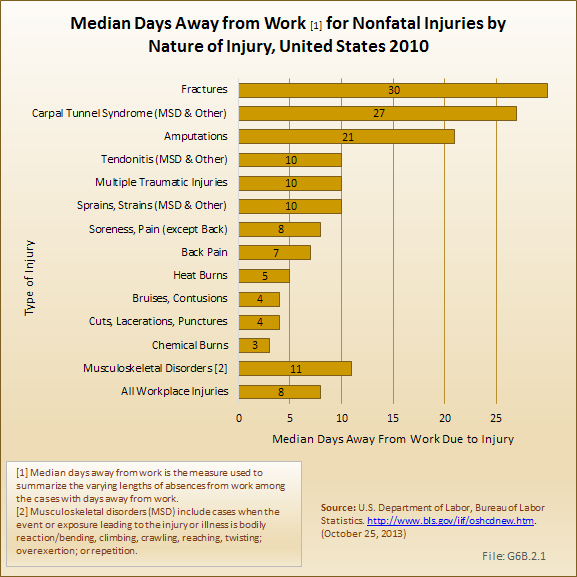 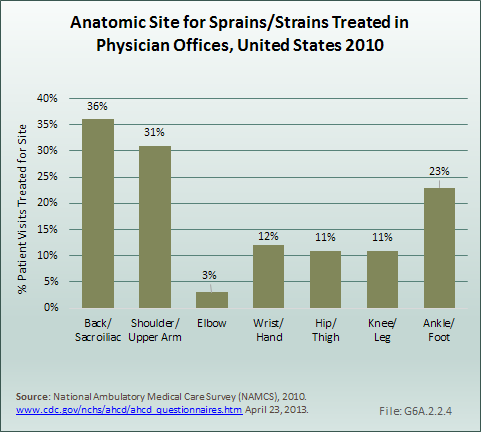 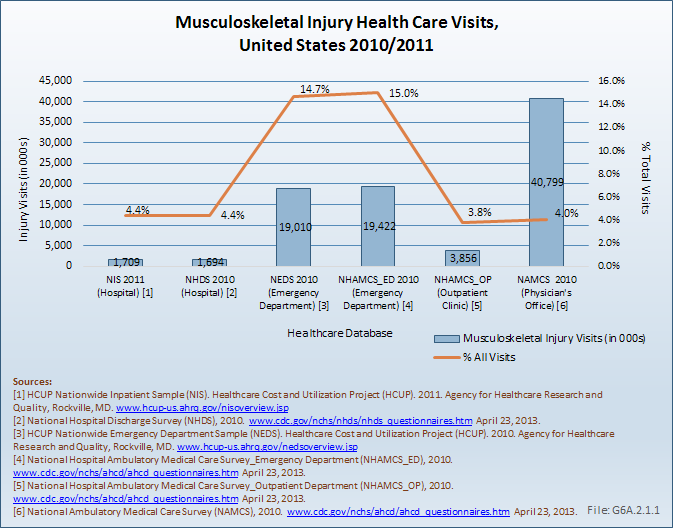 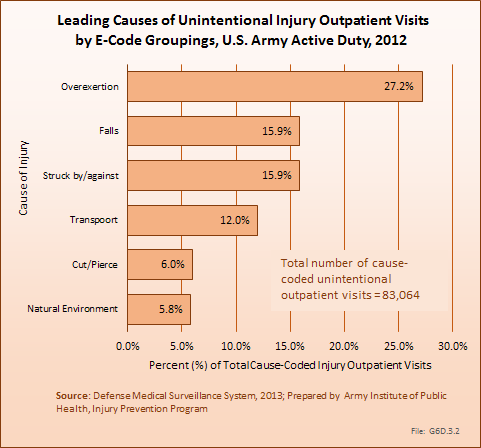 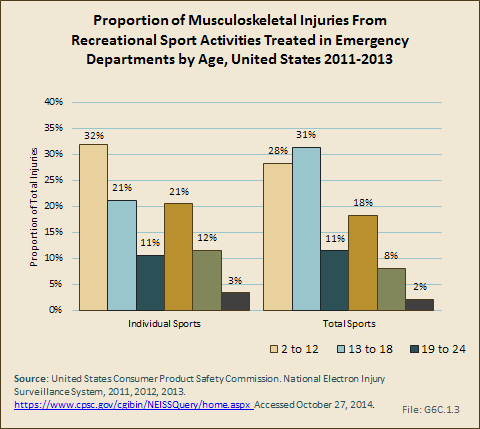 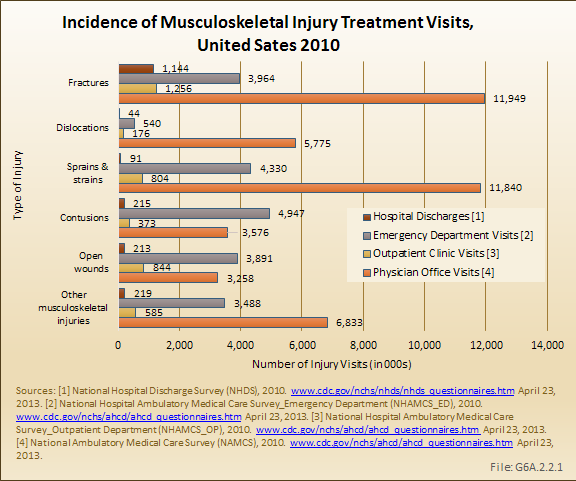 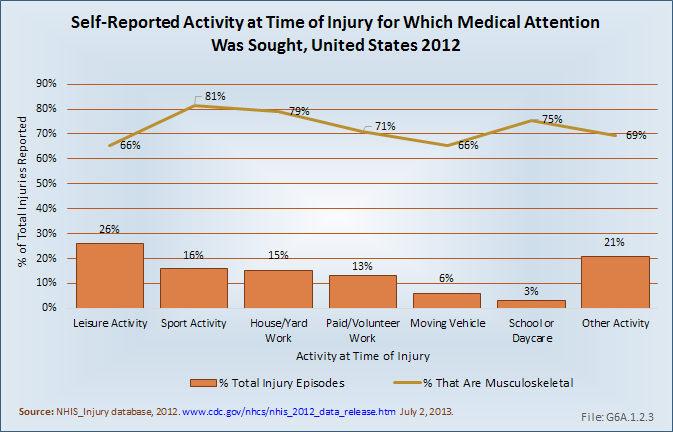 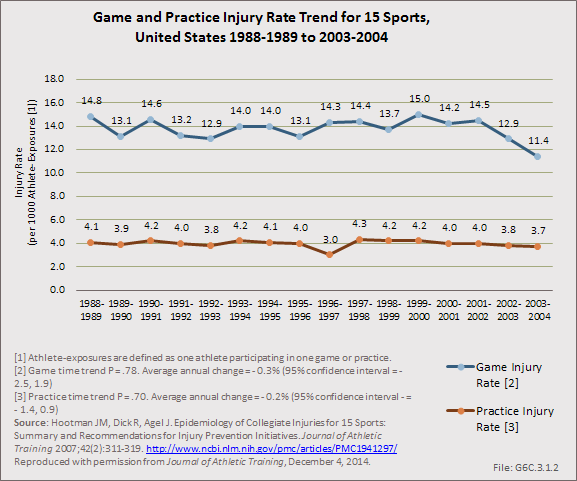 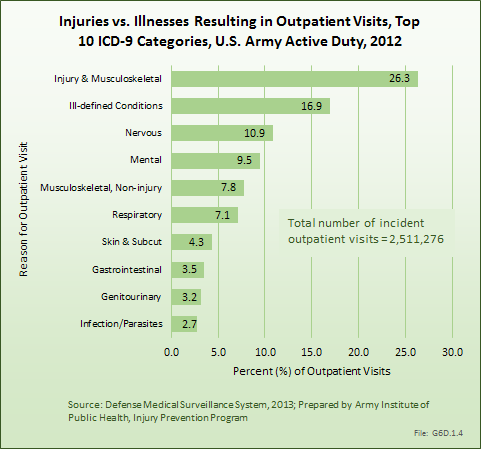 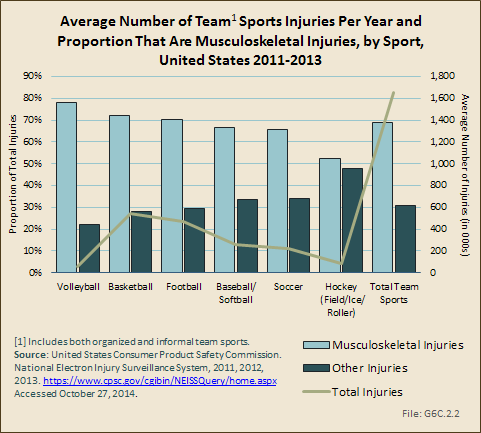 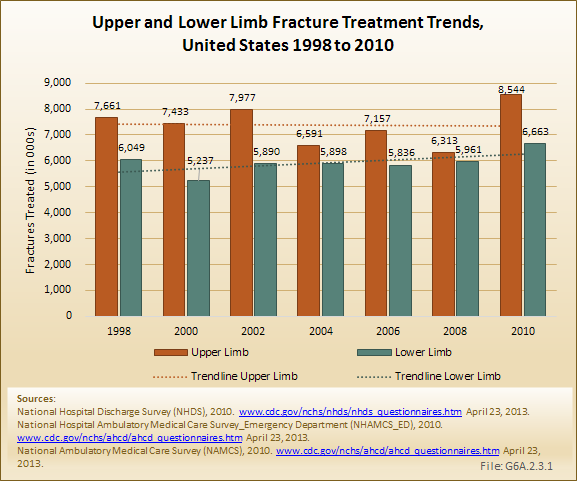 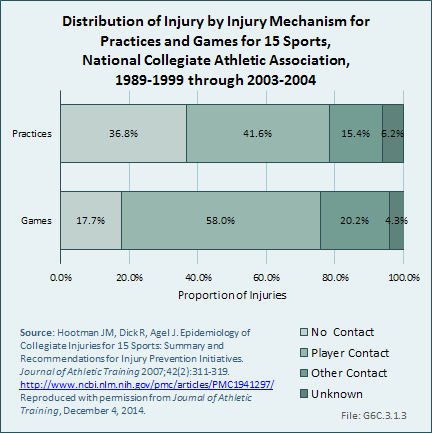 For other care sites, males represent a higher than expected proportion of visits for musculoskeletal injuries. 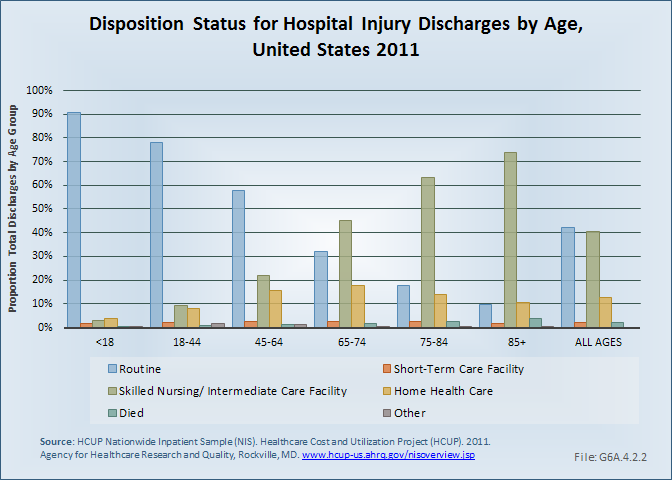 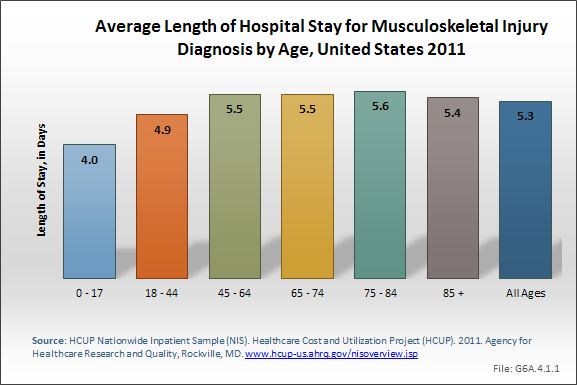 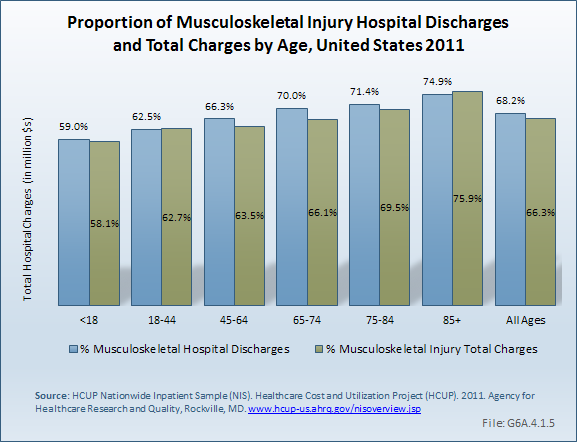 When it comes to age, persons 75 years and older are far more likely to have a hospital discharge for a musculoskeletal injury than those younger in age. 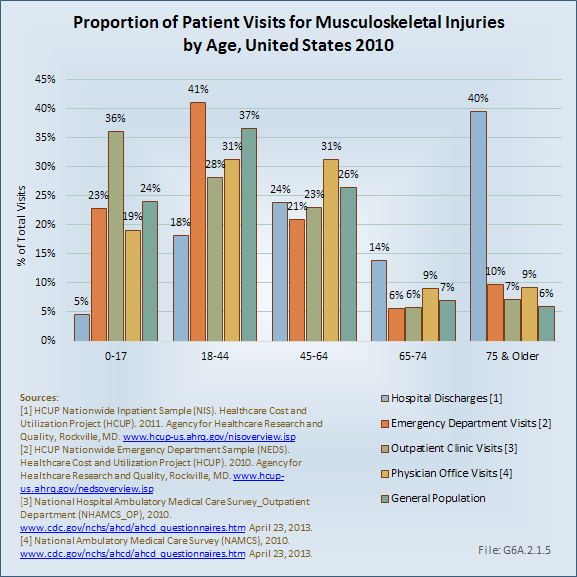 Children, defined as those under the age of 17, utilize outpatient clinics for injury treatment more than persons of other age groups. 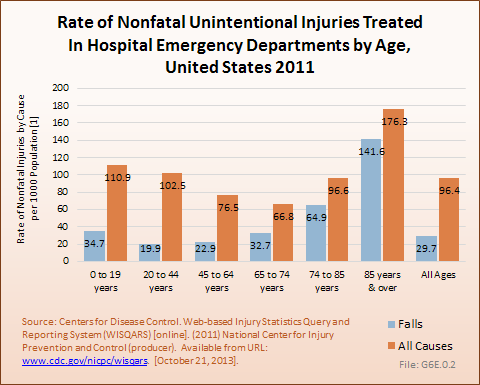 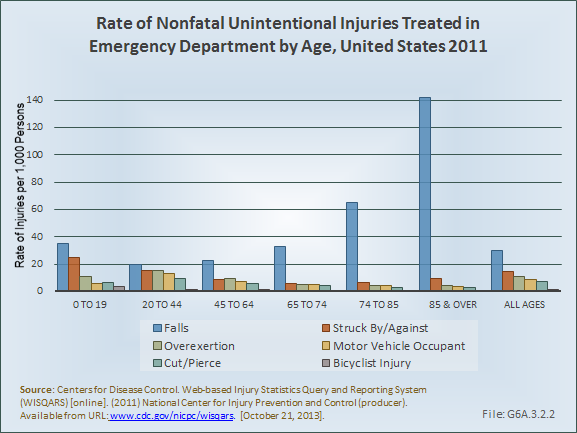 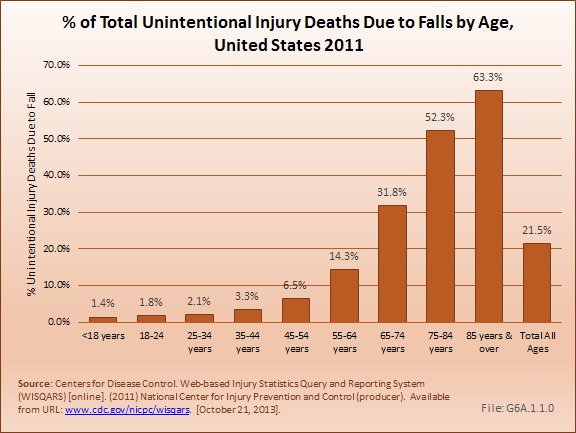 Young adults between the ages of 18 and 44 years visit emergency departments more frequently for injury care, while their slightly older peers, those aged 45 to 64 years, visit physician offices most often. 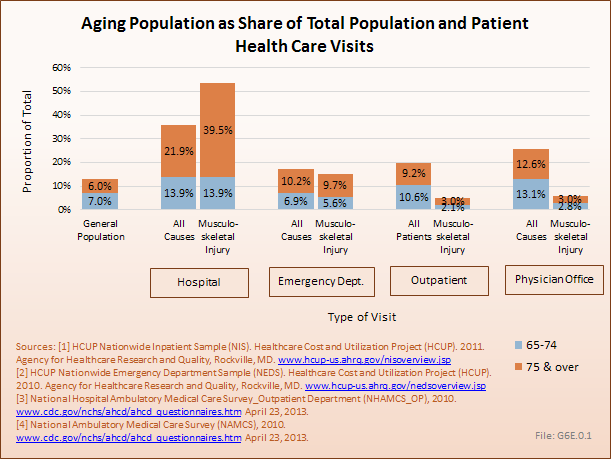 People aged 65 to 74 years comprise about the same proportion of the general population as those 75 years and older, but they make fewer health care visits for musculoskeletal injury treatment.